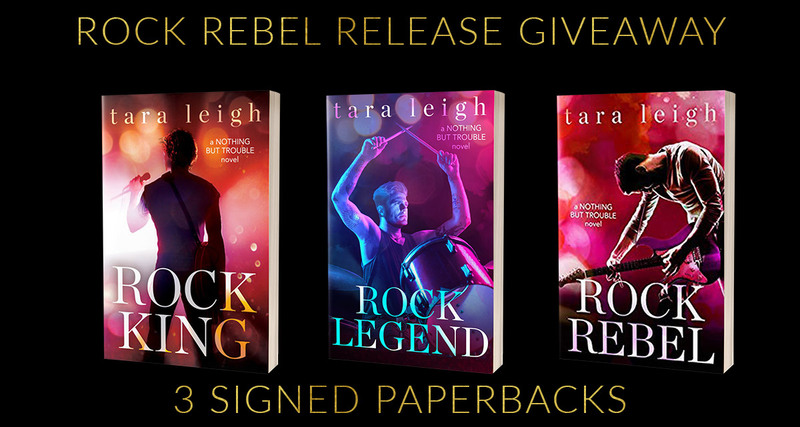 He's a rock star with a secret, she's a pop princess with a painful past - can their forbidden romance survive, or will their lies destroy them both? A disgraced pop princess cleans up her act while navigating the treacherous Hollywood scene. Verity Moore is ready to take her career into her own hands in the third Nothing But Trouble novel from Tara Leigh. Verity teams up with Travis Taggert to restore her reputation. He places her on tour with the popular band, Nothing But Trouble, but to Dax Hughes her presence could be the end of everything he's worked for. Both Verity and Dax are keeping secrets. Verity's dark secrets could bring an end to her newly restored career and Dax's secrets could be the end of their newfound relationship. I love how this story sheds light on their dark pasts and helps them heal through the powers of love, friendship and music. The pacing is just right. It takes us quickly into Verity's background and whirlwind romance with Dax, but the story doesn't feel rushed. 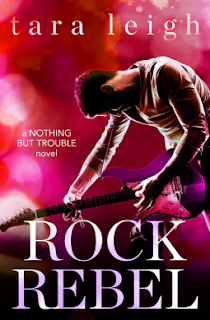 Rock Rebel dives in and addresses a serious issue without making light or brushing it under the rug. Verity's story is realistic and even if someone reading this story isn't in the same position as Verity, it leaves readers with a positive vibe. Tara Leigh is a multi-published author of steamy contemporary romance. A former banker on Wall Street, she graduated from Washington University and holds an MBA from Columbia Business School, but she much prefers spending her days with fictional boyfriends than analyzing financial spreadsheets. 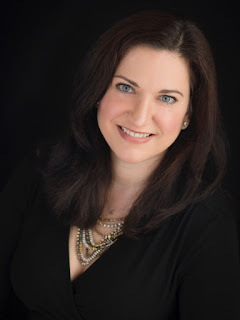 Tara currently lives in Fairfield County, Connecticut with her husband, children, and fur-baby, Pixie. Fantastic post. Thanks for sharing this post with us. most so there area unit uncountable tutorials out there that show you the way to create them and a large vary of designs and colors. if truth be told the vary looks to be virtually limitless, that adds to the charm. Friendship Bracelet each bit may be a distinctive master piece that reflects the ability of its maker.